Due to climate change the frequency of extreme precipitation increases. To reduce the risk of damage by flooding, municipalities will need to retrofit urban areas in a climate-resilient way. To justify this investment, they need insight in possibilities and costs of climate-resilient urban street designs. This chapter focused on how to retrofit characteristic (Dutch) typologies of urban residential areas. For ten cases alternative street layouts were designed with a determination of the life cycle costs and benefits. All designs are resilient to extreme rain events. The results show that most flat urban typologies can easily be retrofitted in a climate-resilient way without additional costs compared to the standard way of retrofitting. Climate proofing sloping areas are highly dependent on the situation downstream. When there is no space downstream to divert the water into waterways or parks, costs to provide storage easily rise above traditional levels for retrofitting. 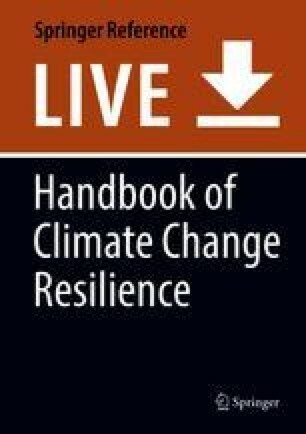 In addition to reducing flood risk, for each case one variant includes resilience to extreme heat events making use of green. The life cycle costs and benefits of the green variants showed that especially green designs in high-density urban areas result in a better value for money.